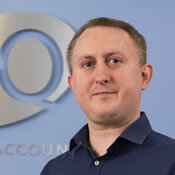 Gavin started his tax career with HM Revenue & Customs in 2001 before joining EQ in 2005, where he qualified with The Association of Taxation Technicians. He manages the tax compliance process in our Glenrothes office and has a portfolio of clients involved in a wide range of industries. Gavin enjoys getting to know his clients so that he is best placed in assisting them to structure their tax affairs in the most efficient way possible. Outside of work, he has a keen interest in cars which supports his understanding of the number of clients he has involved in the motor trade and with motorsport.